Pickles DO expire. Who knew? There are only 2 of us in the house these days. With SN2’s* work and school schedules, he’s rarely home for meals and he certainly doesn’t want to cook more than once in a blue moon. Can’t say I blame him. I don’t find much pleasure in cooking elaborate meals for myself. 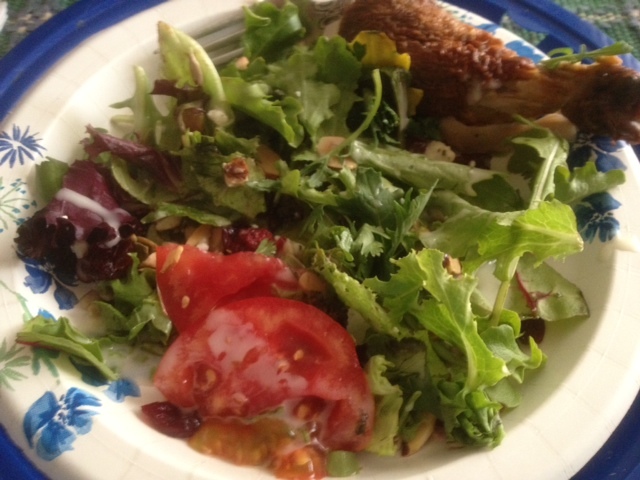 Now & then I’m inspired, but I generally cook once a week (with enough leftovers for several more meals). You’re jealous, right? The problem is, of course, that the condiments I need for 1 meal, or the extras I buy when I know company is coming, go to waste. 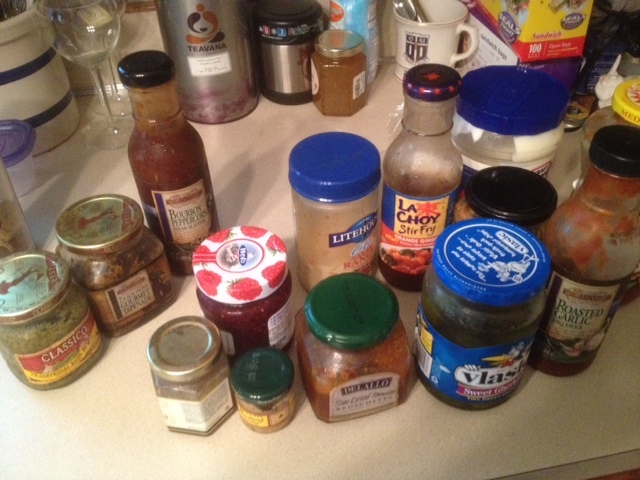 There should be a place to send used-once (but fresh) condiments, don’t you think? Of course, I might plan another meal with that roasted garlic sauce – weeks or months later – but by then it’s too late. Make my own roasted garlic sauce? Hm…19 ingredients: can you say ‘more waste’? You might cry if I told you the expired dates on the items in the picture. It’s pretty sad. Ah – the 3 on the left are actually still good for the next year. I’m so excited! Next week: “But I only need 2 tablespoons of tomato paste!” Maybe I’ll even dive into the spice cabinet. July 22, 2012 in life. The fridge has to be the worst part for me too ! Its that awful sinking feeling when you realised you haven’t cleaned it out in 2 months because of *insert dodgy excuse*… and then HAVE to do it because its so desperate!